This property is a 7-minute walk from the beach. Just 5 minutes’ walk from 90 Mile Beach, Lakes Entrance Holiday Units offer accommodation with free Wi-Fi and a fully equipped kitchen. The property has a children’s playground, BBQ facilities and off-street parking. All self-contained apartments feature a flat-screen TV, DVD and CD player. The fully equipped kitchen includes an oven, a stove and a microwave. Guests can relax on a sunny terrace or explore the surrounding gardens. Laundry facilities are available. 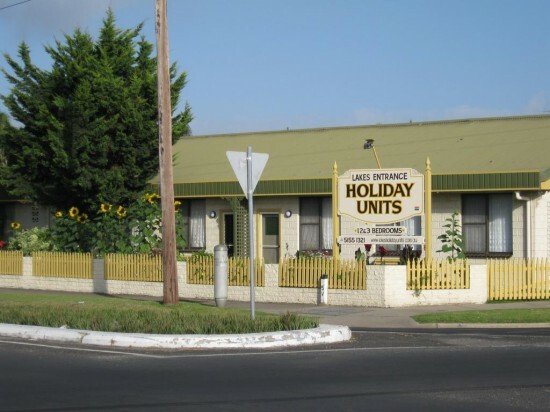 Lakes Entrance Holiday Apartments is 2 minutes’ drive from Blackball & Basket Mini Golf. Griffith’s Sea Shell Museum & Marine Display is 3 minutes’ drive and Wyanga Park Winery is 15 minutes’ drive.